It was a second in a lifetime opportunity, a twice-checked bucket list moment. U2 was returning to Seattle and despite not getting tickets the first time they went on sale, our same Edge-infatuated U2 loving friend came through with extra tickets and I couldn’t say no when she asked if I wanted to go. Towering behind the stage like the great wall of the North was a 7.6K resolution video screen, the largest and highest resolution ever in a concert tour. It’s rather unimpressive look by day turned into quite the visual spectacle that night when U2 took to the stage. 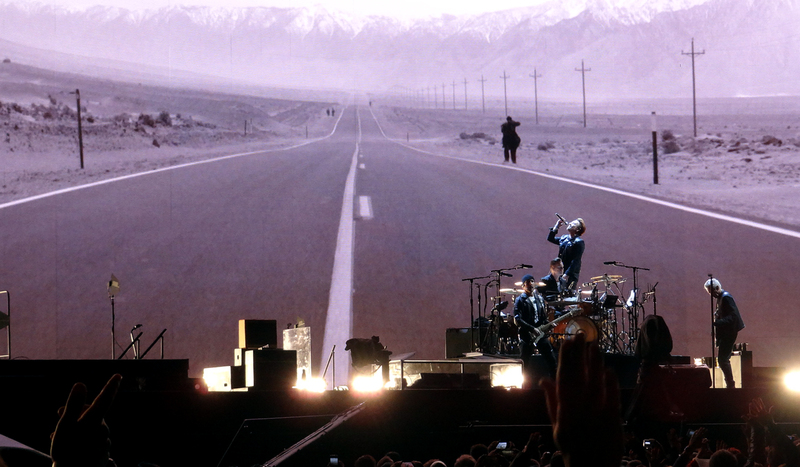 I credit the same Sony Cybershot WX9 I took with me the first time I saw U2 live for these great visual memories. It served me well (enough) while the iPhone7 in my pocket was subbed in to capture similarly decent shots from the night. It was a beautiful night accompanied by great people at an amazing show.